 Gruppo UNA internet site is an on-line information service provided by Gruppo UNA S.p.A. Your use is conditional to acceptance of the terms and conditions set out below. If you do not accept these conditions, you are requested not to use the site or download material from it. The access to Gruppo UNA S.p.A.'s website is free, and does not require previous authorisation, subscription or registration. However, the user may be required to subscribe or register in order to obtain certain types of information or to access certain services or reserved areas. This site may at times be wholly or partially inaccessible as a result of malfunctioning and/or connection problems or in any case events beyond the control of Gruppo UNA S.p.A.. This site is provided exclusively for personal use and you may print and /or save the pages of the site on your personal computer to this end. Permanent reproduction the contents of the pages of the Gruppo UNA site, whether total o partial, translation, adaptation, any type of modification or rearrangement, any form of public distribution of copies, any presentation, demonstration or public communication, is forbidden without the previous written consent of Gruppo UNA S.p.A..
Gruppo UNA S.p.A. reserves the right to prosecute whosoever damages the site directly or indirectly and in particular whosoever introduces software or viruses which can or do damage the contents or functioning of the site, equipment or systems of the site operator. The user is responsible for maintaining secrecy regarding his "password" and "user name" which Gruppo UNA S.p.A. may assign, for the use of some services provided. Advance written communication should also be obtained for any use of the password and user name not previously authorised by Gruppo UNA S.p.A..
Information in this site is provided in good faith and Gruppo UNA S.p.A. does not guarantee that they are complete. Despite constant efforts to provide the most recent, complete and suitable information, technical inaccuracies and typographical errors may be present. Therefore, the information on this site is provided without any guarantee of the trustworthiness and truthfulness of the contents, and must consequently be checked. In no case will Gruppo UNA S.p.A. be held responsible for any damage whether direct or indirect caused by proper or improper use of this site. Furthermore, Gruppo UNA S.p.A. will not be responsible for any incorrect operations, damage, wear and tear, cancellation of data or software, in connection with any equipment or user systems as a direct or indirect consequence of access or intention to access the Gruppo UNA S.p.a. website. Gruppo UNA S.p.A. reserves the right to modify, update, or correct the site and its contents at any time without communication, either before or after the changes have been made. This Site may contain links to other sites on the World Wide Web. Gruppo UNA S.p.A. does not accept any responsibility for material created or advertised by third parties with which the Gruppo UNA site has a link. If you decide to visit a website linked to the Gruppo UNA website you do so at your own risk, accepting responsibility for precautions against viruses and other destructive elements. Gruppo UNA S.p.A. does not consider any links from this site, or any information or references to information from other sources, in any way as explicit or implicit endorsement. Questions and comments regarding other sites must be referred exclusively to the administrators of these sites. This site may contain information taken from other sources, which are identified in every case, and to which reference must be made in case of necessity for verification of this information including its accuracy, truth and completeness. Gruppo UNA S.p.A. does not represent nor guarantee the reliability of any other website of third parties who choose to link to its site. The links on the Gruppo UNA S.p.A. to other sites are provided exclusively for your information. The links do not imply that Gruppo UNA S.p.A. sponsors or that it is affiliated with the organisations that provide the services described in these sites. All persons may create links to this site, following express authorisation by Gruppo UNA S.p.A.. The link must however be placed exclusively on the home page unless specifically authorised in writing by Gruppo UNA S.p.A.. The right to create a link to the site does not confer any explicit or implicit right regarding the site itself or its contents and can be revoked at any time without notice by Gruppo UNA S.p.A..
5. Information received by Gruppo UNA S.p.A.
Gruppo UNA S.p.A. does not authorise transmission of confidential or extremely important information through its website. As a result, all information received through this site and/or via e-mail will be considered as non-confidential in nature and Gruppo UNA S.p.A. will consider itself free to use this information, with the exception of personal data, which is protected by current privacy laws. Gruppo UNA S.p.A. will have no obligations regarding such materials and will be free to copy, use, disclose, show, transform and incorporate it into material, as well as distribute it to third parties, without any limit. Gruppo UNA S.p.A. will also be free to use all the ideas, concepts, know-how or technical notions contained in this material, for any purpose, including but not limited to, the development, production, and sale of products, which utilise this material. Whosoever submits material guarantees that it is publishable and accepts this responsibility, freeing Gruppo UNA S.p.A. from any action by others in relation to the above mentioned material. These conditions comply with Italian law. The tribunal of Milan, Italy, will have jurisdiction and exclusive competence for any controversy and in any case in relation to the above mentioned conditions. However, when necessary, Gruppo UNA S.p.A. reserves the right to legal recourse in countries or cities other than Italy and Milan, in order to protect its interests and rights. The trademarks and logos that appear on this site are the property of Gruppo UNA S.p.A.. They may not be used on any Internet website other than the Gruppo UNA S.p.A. site without the previous written consent of Gruppo UNA S.p.A..  The name Gruppo UNA and any trademarks that include that of Gruppo UNA may not be utilised as internet addresses of other sites or as part of such addresses without the previous written consent of Gruppo UNA S.p.A.. This site has been constructed using html, asp and Macromedia Flash and contains some Quick Time (.mov) videos as well as a few documents in pdf. PIt may be necessary to install free plug-ins and software such as Flash Player, Quick Time Player Adobe Acrobat Reader and Sun Java Runtime Environment in order to visualize all the pages and all the contents of this site. Links to these are at the bottom of this page. The pages on this site have been optimized for Microsoft® Internet Explorer browser. or above in order to ensure a 100% certainty that the site graphics, the dynamic effects and the text formatting match the design specifications.